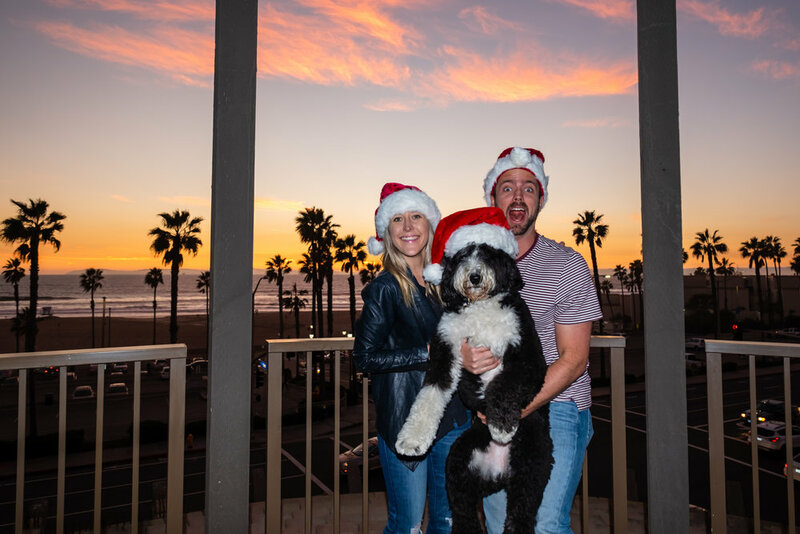 Last week we spent a few days (a “staycation”, if you will) in a wintery, Christmas-y beach side town we love... Huntington Beach! Okay, so maybe it’s not thattt wintery, but it’s definitely a festive spot during the holiday season. 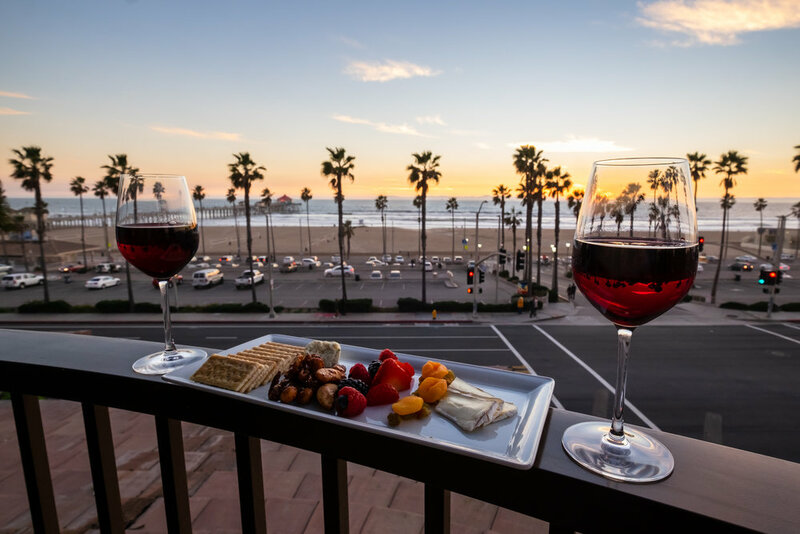 Huntington Beach is a short 15 minute drive from our home, and a perfect destination to escape for a weekend and soak in the relaxing surf vibes. 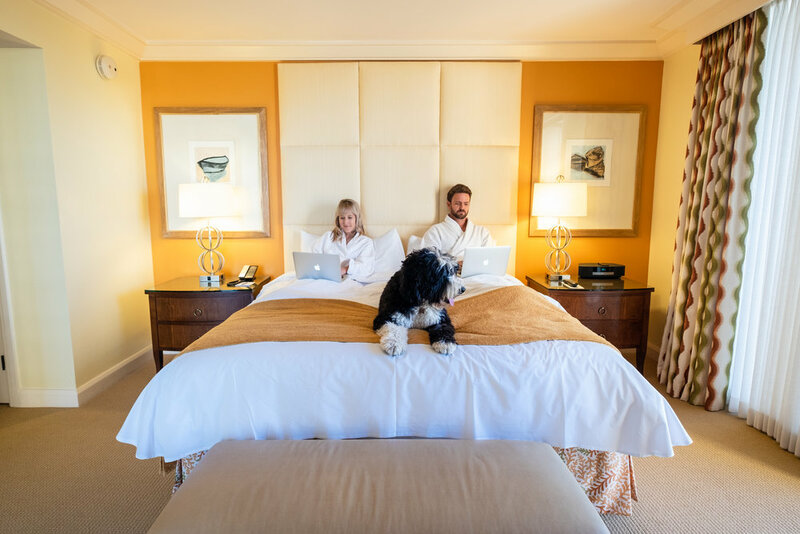 Staycations are our hassle-free way to appease that travel itch - and if you forget your toothbrush you can always go home! Anyway - let’s talk about Huntington Beach. 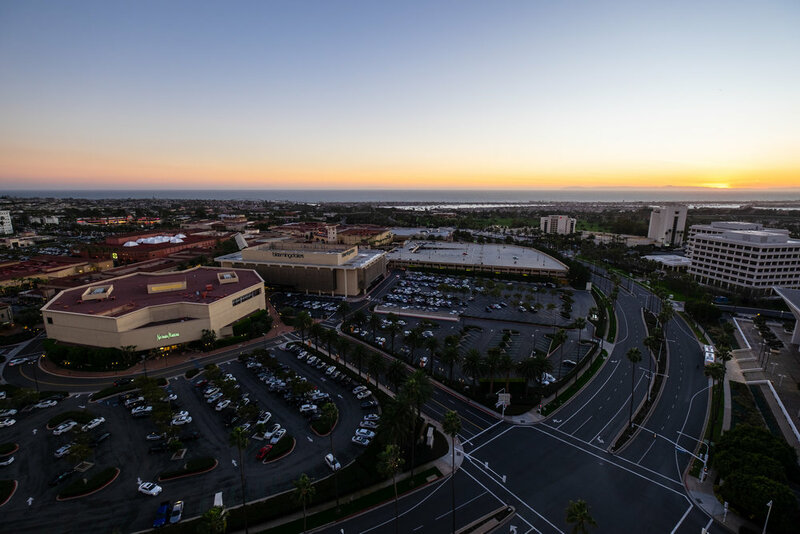 This surfer’s paradise has been termed “Surf City USA” and it’s easy to see why. The pristine, white, sandy beaches, the iconic lifeguard towers, the picture-perfect pier (complete with a bustling Ruby’s Diner).. it’s all like something out of a surf movie. 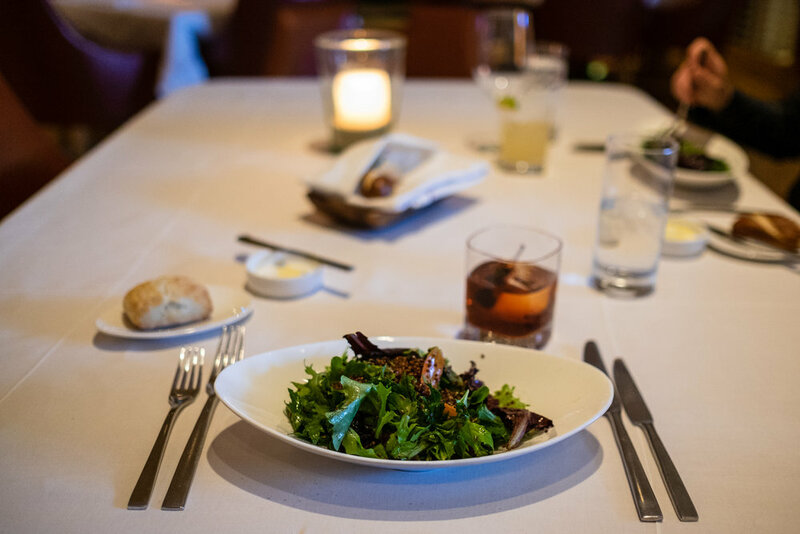 The activities are endless, and with hip restaurants popping up left and right, it's quickly becoming a foodie's destination. It’s about as California as you can get - and we love it for that. We were there in mid-December, so an added bonus was all the holiday decor and sparkling lights around town. It was magical! We stayed at the Shorebreak Resort, a Kimpton property just steps from the water. 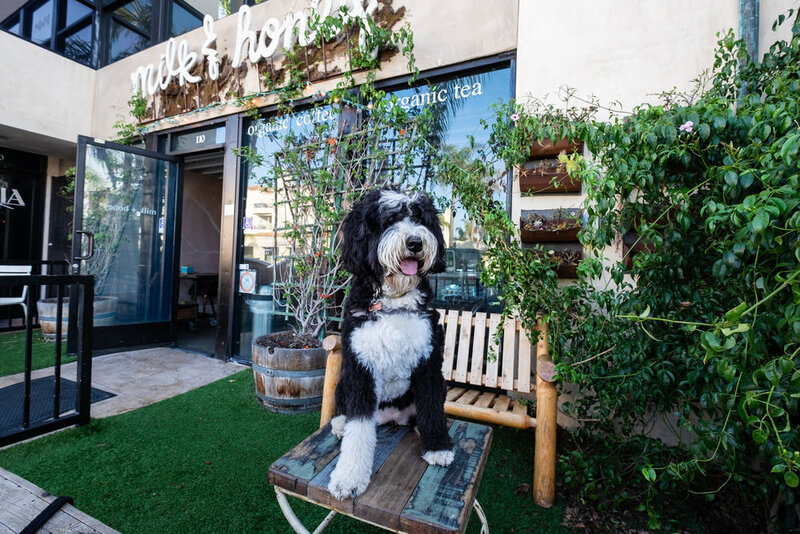 We partially chose it because of its proximity to the beach, and partially because of just how dog friendly and accommodating they are (there's no additional pet fee - insert praise hands). 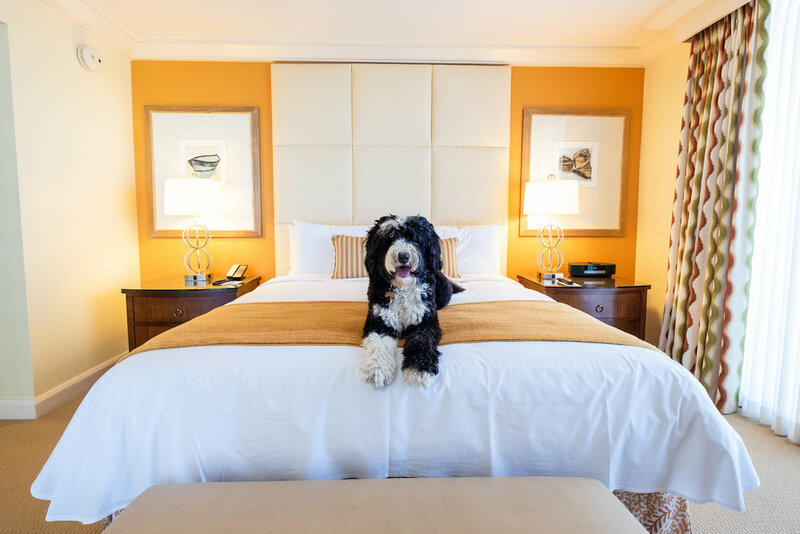 In typical Kimpton fashion, every need is met - even extra doggy items such as dog bowls, toys, beds, and more. Sally even made their VIP board! For us humans (haha), they do an insane job of making your experience as special and memorable as possible. 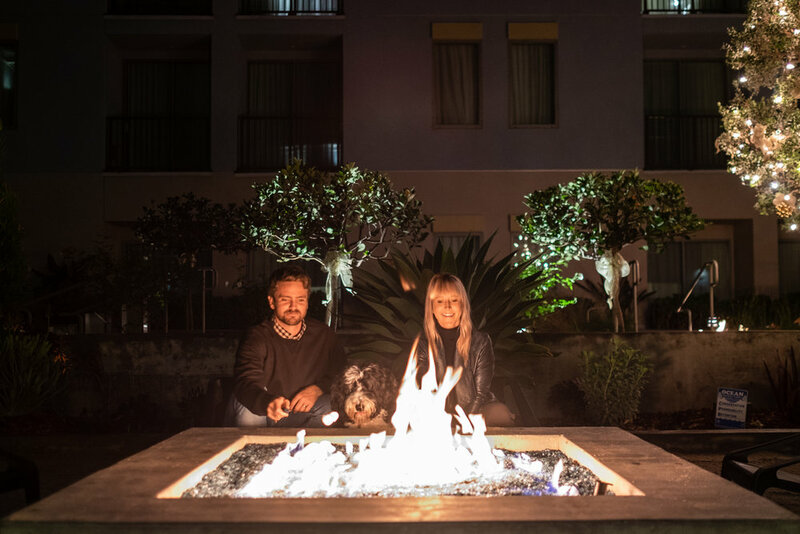 The Shorebreak has a nightly wine hour, complimentary s’mores (yes please! ), bicycles to ride around town, even hot coffee and cold pizza (a true surfer’s breakfast) in the morning! You better believe Bobby had pizza for breakfast every. single. day. 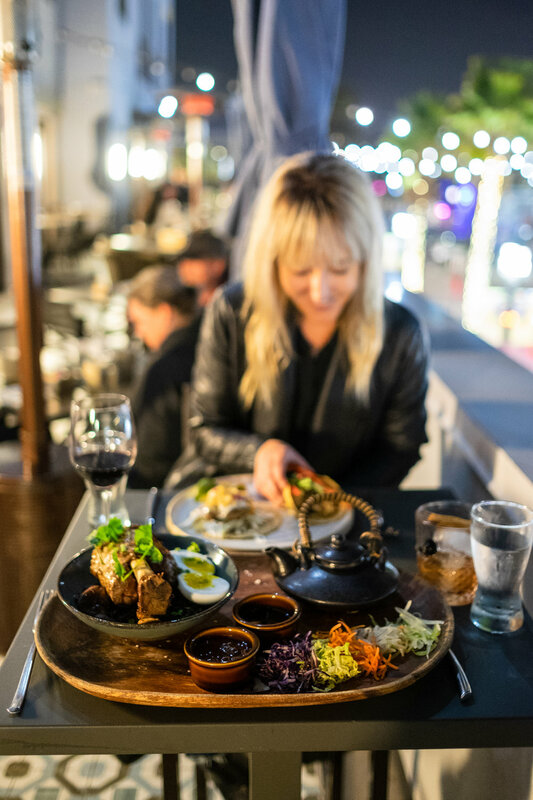 We also tried their on-site restaurant, Pacific Hideaway for dinner... and their Latin/Asian influenced cuisine blew us away! (Make sure you try the Samurai Old Fashioned and the Tea Pot Pork!) The real highlight of our stay was the picture-perfect view from our balcony. If it wasn't for all the things to do, see, and eat we might not have left! It can sometimes be challenging to find things to do with Sally when we're on the road. Not the case here! 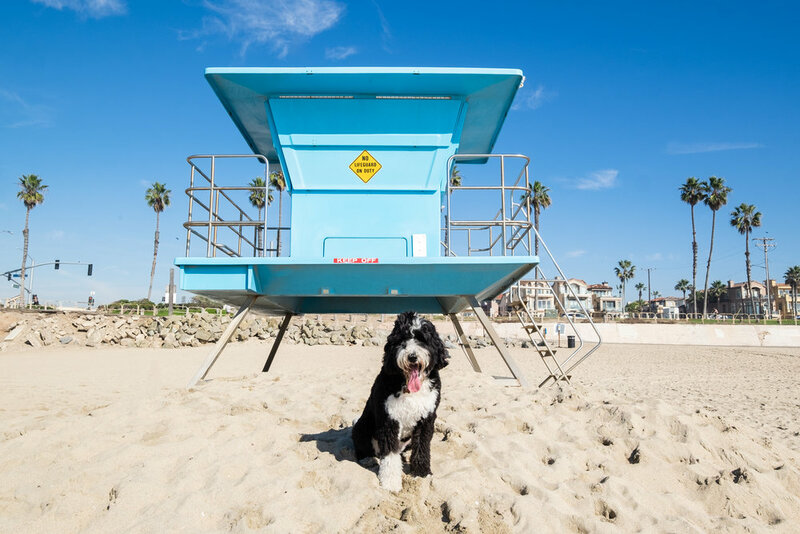 We took her to the Huntington Beach Dog Beach daily, aka her favorite place in the world. She could dig, swim, and frolic around leash-free... and the look on her face says it all! 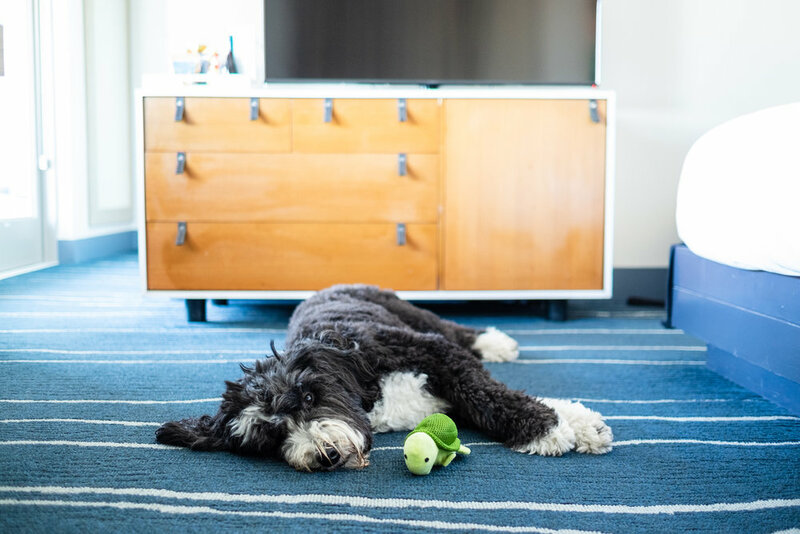 The Pasea Hotel has a brand new dog park called PawSea, where she had the chance to run around and play with other pups, and we got a kick out of all the quirky little features. 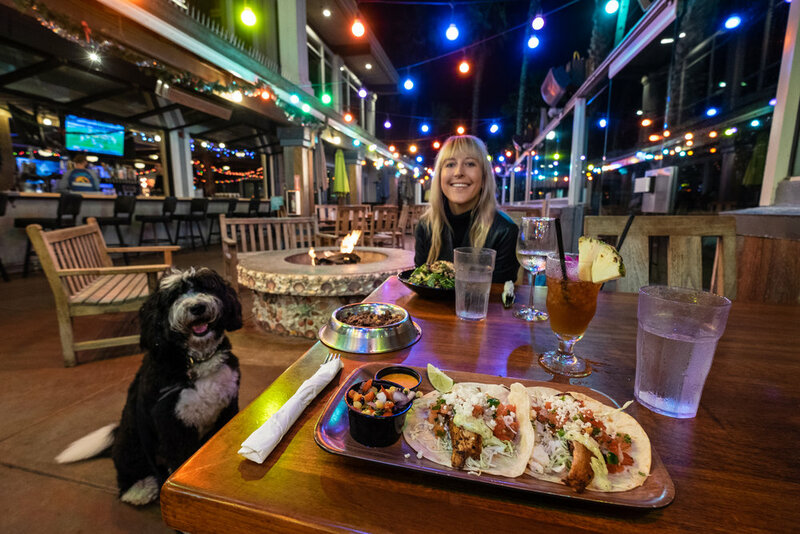 On Tuesday nights they have the Surf City Night's Weekly Street Fair, with live music, vendors, snacks, and more... and a good portion of it is dog-friendly! Our staycation may have only been for two days, but we packed a lot in, and we truly felt like we'd gone away. Bobby had a chance to surf (while Alli watched from our balcony), Sally got to play on the sand, and Alli got her foodie-fix. It was perfect. 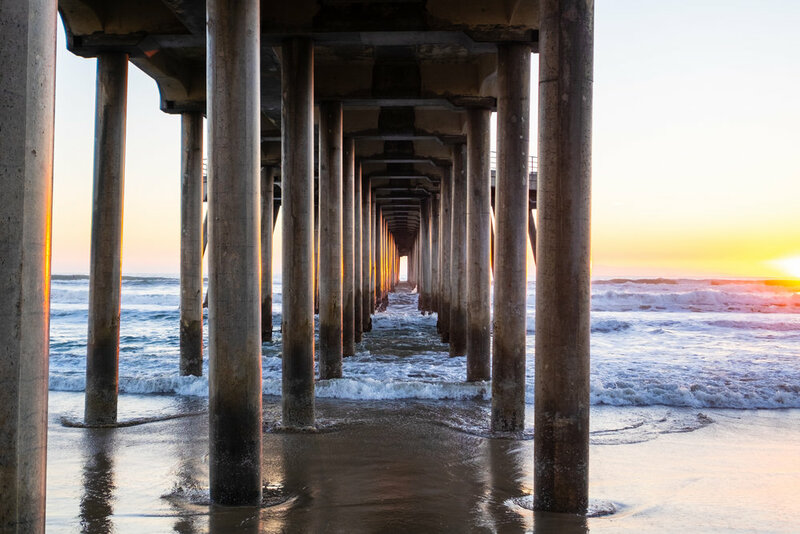 Whether you're a So Cal local like us, or in the market for a California getaway, we highly recommend a trip to Huntington Beach. We'll meet you for drinks at the Shorebreak. 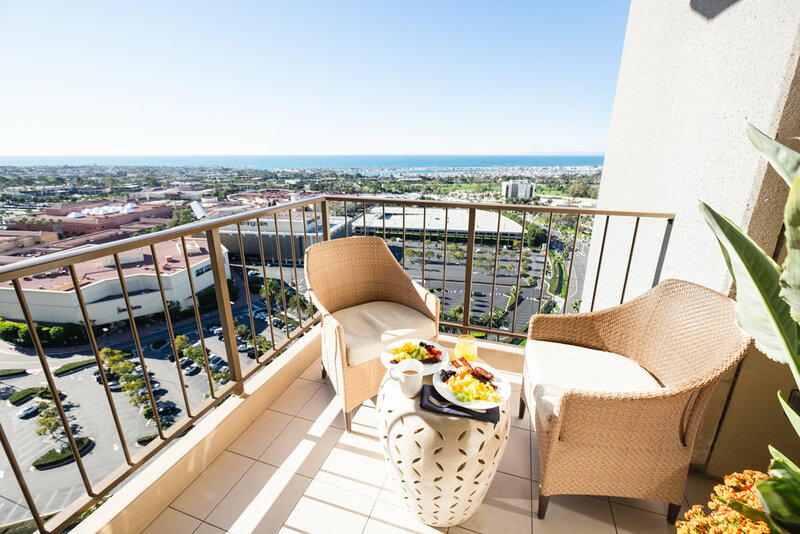 See our Huntington Beach guide HERE.